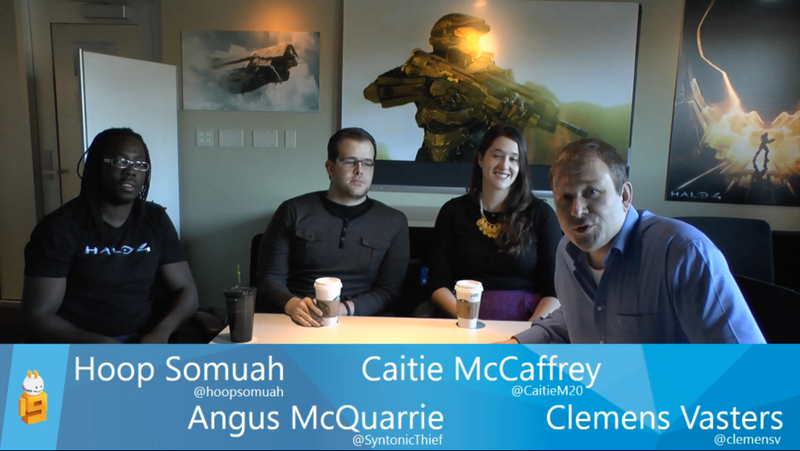 I appeared on Clemens Vasters Channel 9 Subscribe Video Blog to discuss how Halo 4 used Windows Azure Service Bus. On the way driving from my hotel to work this morning, I swung by 343 Industries’ super-secret hidden space command facility to meet Angus, Caitie, and Hoop from Section 3, the team that creates the services backbone for the Halo game series including Halo Waypoint. We talk about how the Halo 4 game uses Windows Azure Service Bus in various ways, including the flow of all multiplayer game statistics from the console game into Waypoint, and how Service Bus helped the Halo team dealing with the massive traffic peak occurring on and within a few days of the game title’s release.